@ctsestore is on Carousell - Follow to stay updated! 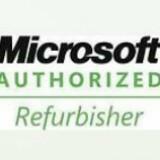 Microsoft Authorized Refurbisher for over 12 years in business in Toronto. This item is Grade A refurbished condition with very minor signs of usage, it comes with 30 days limited hardware warranty. Cash only for local pick up at our store, $339.99 after tax, receipt will be given.